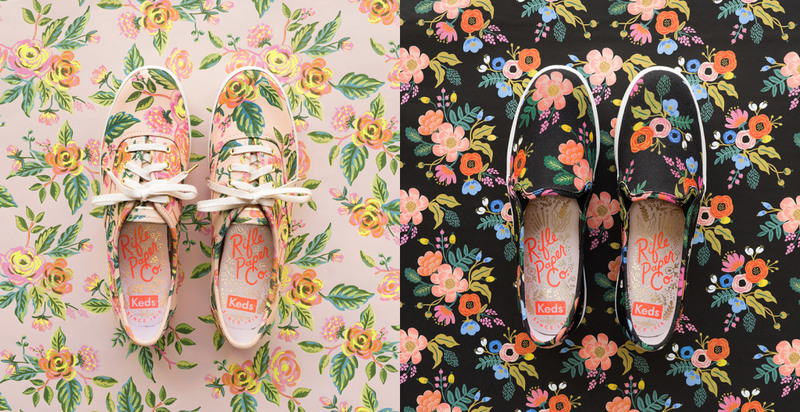 Keds just brought back its crazy popular partnership with Rifle Paper Co.
Keds is a hundred-year-old brand known for its canvas sneakers. Recently, it’s been taking the concept of “canvas” literally. In February, Keds released a collection of shoes printed with elaborate floral patterns painted by Anna Bond, the founder of the wildly popular stationary brand Rifle Paper Company. Those shoes sold out in 24 hours on both Keds.com and Rifle’s e-commerce website.